In spring 2011, we have restructured our office. The office with public access was closed, business in Greece officially determined. A new company was founded in Germany. We are now an online travel agency and work 100% online. This allows us to personally take care of our customers and to be much more flexible. To ensure, to be always responsive, Eva Lang strengthens as Freelancer our team. Founded in 1991 the agency has quite a long history and still serves clients from its first days. 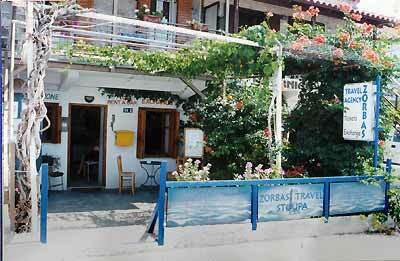 It was formerly called 'Zorbas' but since I took over the business from my mother Uta its name wasn't allowed anymore. On separate pages we want to tell you who we are and what objectives we have. You may also load our terms and conditions or our imprint. You are very welcome to contact us using our contact form.